John Francis Skelton was influenced at an early age by his father the renowned Irish artist John Skelton. 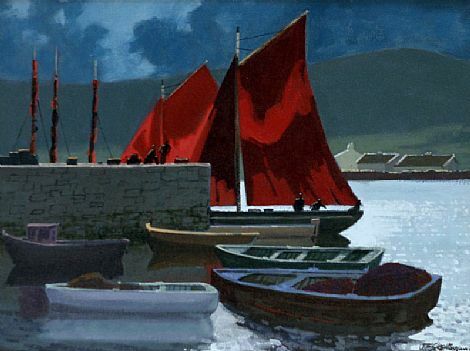 He started painting at the age of eight and upon leaving school, studied at the National College of Art and Design, graduating with an honours Diploma in Fine Arts in 1976. He then travelled to Europe and Africa studying both their painting and culture, thus broadening his knowledge of art. Upon returning to Ireland, John Francis Skelton took a teaching position at the People’s College, Dun Laoghaire. He has also worked as a book illustrator and in his spare time became the Leinster Fencing Champion. 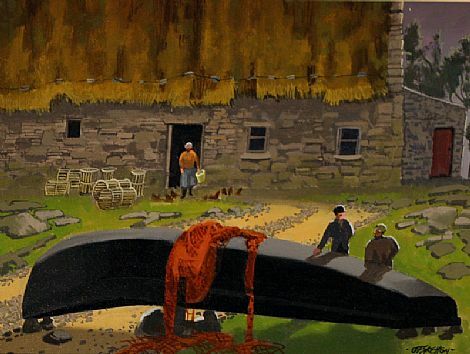 His paintings have been accepted by the Hibernian Academy and are in many private collections around the world.